Quality Hand Made Travel Bag! Take your favorite essential oils wherever you go, in style! 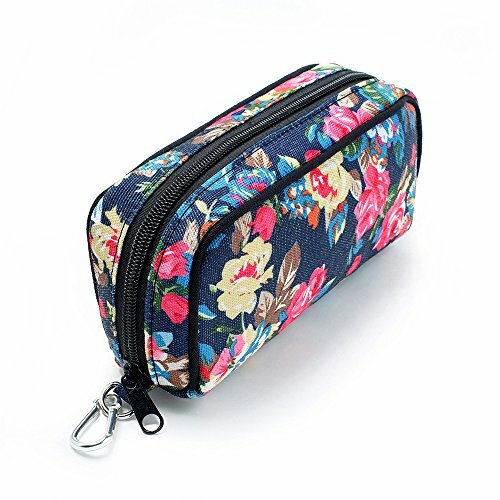 Ideal for travel as well as for everyday use, this elegant zippered carrying case securely holds up to 10 standard essential oil vials (5-15 ml size). The individual black mesh pockets have elastic openings to keep your vials safely stowed. Available in a variety of distinctive patterns to suit every taste! These handmade bags may vary in the pattern of the border fabric (near zipper). It is made from a thin canvas material. Holds up to 10 vials for 5 ml,10 ml,15 ml in size. This item is sold individually and includes 1 Carrying Case (oil vials not included). If You are not happy please let us make it right. 100% money back guarantee, you have nothing to lose! Order Your Portable Essential Oils Case Now! If you have any questions about this product by Gogobag, contact us by completing and submitting the form below. If you are looking for a specif part number, please include it with your message.